Diabetes can cause poor blood flow to the feet, making it more difficult for wounds to heal, sometimes resulting in infections and possibly amputation. Complicating matters, poorly controlled diabetes can also lead to nerve damage called peripheral neuropathy. This may cause them to lose sensation in their feet, so they may not feel potentially harmful cuts or blisters. To help protect the feet and overall health, it is important to know what to look for in diabetes shoes. 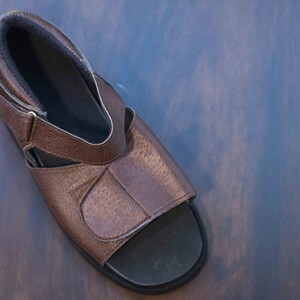 Covered shoes: Look for a shoe that has a large enclosed front, as well as a closed back and top. Shoes that expose the toes or heels increase the risk of injury and infection. Adjustable closure: Look for shoes that have laces or velcro. The built-in flexibility allows the person to tighten or loosen the shoes depending on whether or not the foot is swelling. Wide toe: Steer clear of shoes with narrow or pointed toes. Shoes with a round or wide toe box provide the feet with more room and are less likely to cause irritation. Low heel: Flats or shoes with heels less than two inches high are a better option than shoes with higher heels. Lower-heeled shoes reduce the amount of pressure applied to the ball of the foot. Soft material: Choose styles made from soft materials, such as leather, mesh or a pliable synthetic fabric. Breathable fabrics will prevent the build-up of moisture within the shoe. Cushioned inner sole: It is important to choose footwear with a good amount of cushioning inside the shoe. This added support helps reduce foot pressure and the risk of developing foot ulcers, or sores and other complications. Hard outer sole: Although the inside of the shoe should provide support with cushioning, the outer sole of any shoe should be hard. This will help protect the feet from rough or sharp objects and provide shock absorption. People with diabetes should wear socks to decrease the friction in shoes and soak up extra moisture to prevent infections. To ensure a proper fit, it is important to always try on shoes with the socks you intend to wear with them. It is important to routinely remove the shoes and inspect the feet for problems or signs of irritation, such as redness or marks along the top, sides or sole. This is particularly true when wearing new shoes. Any areas of redness or marks that do not resolve in 10 to 15 minutes could be an indication that the shoes need to be addressed or adjusted. You can also visit Wellness Diabetes Speciality Clinics’ Thane or Ghatkopar Clinic to buy Diabetic Footwear. 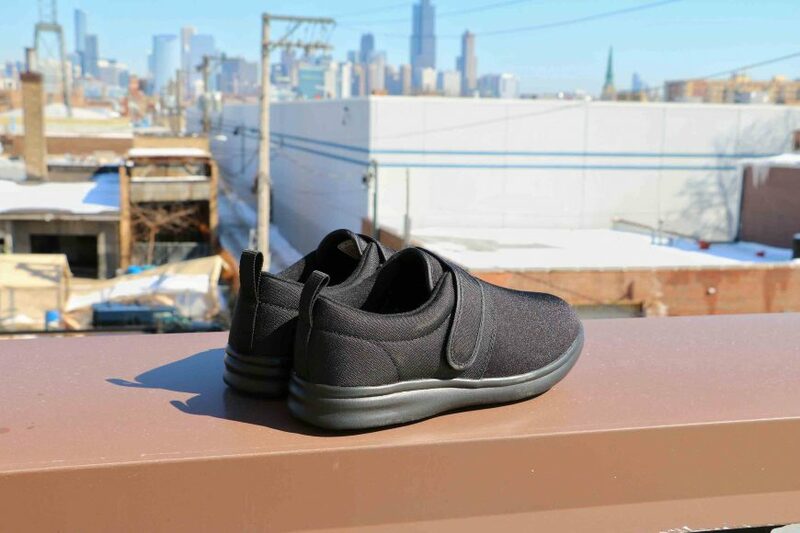 Each piece of footwear is specifically customized for the patient so that it fits them perfectly and comfortably.